As we discussed during 1996 Week, 20 years on, the creation of Super Mario 64 seems nothing short of miraculous. The game’s developers were tasked with redefining how we interact with video games, and while the results weren’t perfect, they’re pretty damn good for a first try and laid a foundation for decades of games to come. This week, a pair of newly translated interviews from right after the game’s release gave us a rare, fascinating peek into the making of this groundbreaking work and the team’s headspace as they fought to get it right. Translated by Shmupulations, a veteran fan translator whose website is full of obscure and interesting interviews from the annals of Japanese game development, the insights in these Q&As from an old strategy guide go all the way back to Mario 64’s earliest days. As you might expect, tuning the analog controls that allowed Mario to run around a 3-D space with relative precision was the first massive hurdle. 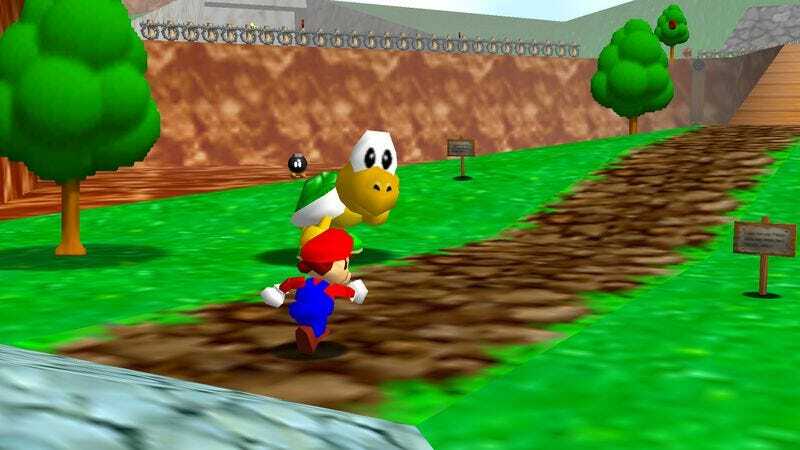 According to director Shigeru Miyamoto, the game started with a room full of “simple Lego-like blocks” for Mario and Luigi—the latter of which was meant to be in the game until he was cut late in development—to traverse. The team used this little test area to tweak the brothers’ movement, and once they had that right, it was time to build a game around it.